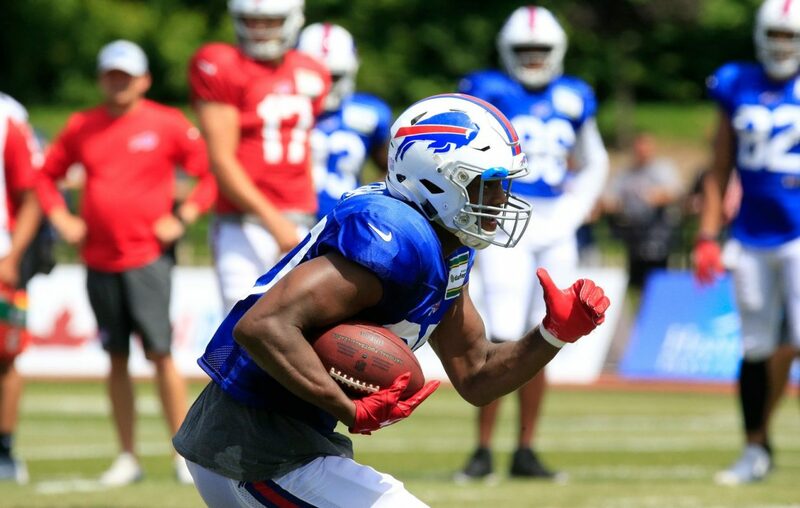 Could Jason Croom take over at tight end for the Bills next season? That depends on what the team does with Charles Clay, who carries a $9 million cap hit next season but is a candidate to be cut. Croom played only 36.5 percent of offensive snaps last season but led the tight ends in receptions and receiving yards. He could be poised for a breakout 2019 season, but the Bills could also make TE a priority in the draft. "It’s perceived to be a strong year for tight ends, starting with the Iowa duo of T.J. Hockenson and Noah Fant, both of whom are considered borderline first-round talents," Jay Skurski wrote. "... Alabama’s Irv Smith Jr., Georgia’s Isaac Nauta, Stanford’s Kaden Smith, Texas A&M’s Jace Sternberger and UCLA’s Caleb Wilson are also considered prospects who could go in the first two days of the draft (rounds 1 through 3)." The Bills haven't selected a tight end in the first three rounds of the draft since taking Kevin Everett in the third round in 2005, but that could change this year. How to watch the Pro Bowl: Kyle Williams will play for the final time Sunday with the AFC team in the Pro Bowl. The game begins at 3 p.m. and will be shown on ESPN.